4 http://www.frommers.com/destinations/guatemala/274612 http://lanic.utexas.edu/la/ca/guatemala: Hosted by the University of Texas Latin American Studies Department, this site houses a vast collection of information about Guatemala. 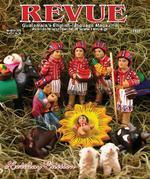 www.revuemag.com: This is an excellent Englishlanguage monthly magazine geared toward tourists and expatriates. The entire magazine, as well as past issues, is available online. www.visitguatemala.com: This is the ocial site of the Guatemala Tourism Commission (INGUAT). The site is a bit clunky, but if you dig around, you can nd some useful info. www.xelawho.com: A slightly irreverent English-language magazine produced in Quetzaltenango and directed at the towns large population of foreign-language students, this site has honest reviews and a wealth of information.FROMMERS The Best Websites in GuatemalaLuz! by Juliana Skaggs NanneEntry in the Revue Photo Contest, Dec.
16 Guatemala is rich in ancient Mayan sites and this magazine has, over the years, covered many of them. Some are famous worldwide. Tourists ock to Tikal, which has been under exploration since 1881. More adventurous visitors venture north of Tikal on the dirt road to Uaxactn, which has been studied since 1916, or nearby Yaxh, where exploration began in 1904. ese as well as other sites in Guatemala; Campeche, Yucatn and Quintana Roo in Mexico; and Copn in Hondurashave been explored and studied for decades. Site Q, now called La Corona, or Sak Nikte, is dierent. Although it shares a similar history, it is the story of how it was found that makes it unique. It had been a looters site. Proper excavations have been going only since 2008, and it was not even conrmed until 2005 that this littleknown site was the famous but mysterious Site Q that archaeologists had speculated about, but did not know where it was located. e hunt for Site Q began in the 1960s because a number of looted Mayan reliefs from an unknown site started coming to international art auctions and were purchased by private collectors in Europe as well as museums. One of the best, showing a Maya ball player, is in the Chicago Art Institute (photo above); another depicting two women is at the Dallas Museum of Art. e provenance of the items was a mystery. ey did not t any of the then-known sites. A Yale graduate student, Peter Mathews, connected them. ey shared the same artistic style, but they did not come from Tikal nor Calakmul they must be from a city he called Site Q (in other words, qu? Spanish for what?). Several expeditions in the late 1990s found and investigated La Corona. However, the rough nature of the remaining sculpture and the modest scale of the ...continued page 82 ARCHAEOLOGY by Tomas CernikovskyIt was not even conrmed until 2005 that this little-known site was the famous but mysterious Site Q that archaeologists had speculated about, but did not know where it was located.LA CORONA La Corona team. Tomas Barrientos, UVG Director of Archaeology (left) and Marcello Canuto, Director of M.A.R.I., Tulane university (right). 18 text/photos by Capt. or Janson / ./rRoads to Adventure After the collapse of the great Mayan city-states remnant groups of Maya lived in small villages while others migrated north to the Yucatn. e island now known as Flores was occupied by the Itz Maya eeing south in 1441 after their center at Mayapan (near todays Mrida, Yucatn) was conquered by the Xiu Maya. e Itz Maya named their new home Nojpetn, and soon the island became resplendent with whitewashed pyramids, palaces and thatched-roof residences. e Itz repelled every attempt the Spanish made to subdue them, and it was not until 1697 that the island was nally conquered. It was the last Mayan kingdom to fall and the last independent and unconquered native kingdom in the Americas to be captured by the European colonizers. Centuries later mestizo colonists arrived from Mexico and established a few settlements, most notably on the island of Flores. en, at the end of the 19th century, they struck green gold in the form of a kind of latex produced by the sapodilla tree, a large tropical evergreen. e Chicago-based Wrigley Company discovered that it could use this latex to make a kind of bonbon that could be chewed for hours, and in no time, in all the cities of the civilized world, people everywhere could be seen chewing in public. Flavored chicle gum became a huge success worldwide and the demand skyrocketed. But this chicle latex is only found in the tropical rainforests of America. Here is where La Chatona enters our story. e demand for chicle was so great that the hardy Peteneros sent expeditions to set up temporary camps all over the Petn. From these jungle camps the men would spend their days tapping the sapodilla trees, accumulating the latex, and processing it into large white cakes, which would eventually be transported by mule to Flores, where it would be graded and purchased by Wrigley representatives. ere are still oldtimers today who can recount stories of how life was in the rough-andtumble jungle camps. But the most beloved of these stories is that of La Chatona. You see, in general, women would not go with the men on their jungle expeditions. ey stayed home looking after the children. But there was an exception, and stories vary as to where she came from. Some say she came down from Mexico. Some say she came from Belize. But all agree that in the early days of the chicle boom, a young woman began accompanying the men to their chicle camps, and she was known as La Chatona. She would cook for the men, help keep the camp in order with her eciency and tidiness and, on Sundays, after a few words of praise God and pass the mashed yucca, she would sparkle the festivities with her wom-An annual parade in El Petn honors a young woman who became a legend and one of the most beloved personages for all Peteneros. 22 december holiday calendar 7 Sat., 6pm QUEMA DEL DIABLO (Burn the devil): a ceremony that eliminates evil spirits and clears the way for Christmas celebrations. Live music. Barrio de la Concepcin, 4a calle oriente, La Antigua & countrywide7 Sat., 2pm CULTURAL EVENT: A celebration honoring the Virgen de Concepcin with a parade of oats (con vite) leaving the cathedral and traveling through Ciudad Vieja, Sacatepquez8 Sun. CELEBRATION: Cultural and religious events honoring the Virgen de Concepcin Ciudad Vieja, Sacate pquez12 T hurs. DA DE LA VIRGEN DE GUADALUPE: Children dress in typical clothing in homage to the Vir gen de Guadalupe One such procession begins at 3pm La Merced church, La Antigua and throughout the country15 Sun., evening POSADAS: traditional processions that be gin nine days before Christmas; each evening statues of Joseph and Mary are carried through the streets, looking for a house to stay. The group sings tradi tional songs on their way. Treats, tipica food and beverages are served to invited guests at the home oering refuge to the posada. Countrywide31 Tues. NEW YEARS EVE: Cel ebrations galore with recrackers and reworks, music and more! Coun trywide24 Tues. CHRISTMAS EVE: Last minute holiday preparations, gift wrapping & cooking traditional food and beverages, including tamales negros and colorados & ponche; 10pm Christmas Mass (Misa de Gallo) in all churches; Mid night Fireworks and festivities as fam ilies gather to celebrate the birth of Christ. Banks and some businesses close at noon and reopen Dec. 26. Countrywide25 Wed. CHRISTMAS DAY: Tra ditionally a quiet day, with the exception of recrackers and bombas BOOMING at noon. 23 Please submit your DATEBOOK entry for the JAN. 2014 edition by Dec. 10 datebook DECEMBER 2013 GUIDE TO CULTURE AND UPCOMING EVENTSCOMPILED BY MERCEDES MEJICANOS 3 Tues., Handels Messiah : t he National Theater, Guatemala City ; Wed., 4th Casa Santo Domingo, La Antigua See related press release, www.revue.gt, Nov. edition, pg. 32.5 T hurs., 7pm CLASSIC FILMS: The Ref with Dennis Leary, Kevin Spacey and Judy Davis. Free, purchase of food or beverage appreciated. Numa Restaurant, 7a av. norte #16, La Antigua11 Wed., 6pm Presentation: Antigua: Behind the Walls with Elizabeth Bell. Enjoy a one-hour presen tation through vintage and contempo rary photographs collected over the past 40 years, accompanied by Elizabeth Bells expert narration. Proceeds benet edu cational programs in Antigua. Questions encouraged. Autographed books avail able. Hotel Sor Juana, 4a calle oriente #45, La Antigua3 Tues., 5:30 TALK: MayaPedal a Guatemalan NGO based in San An drs Itzapa MayaPedal supports many community projects in collaboration with local, national and international groups. Pedal power can be harnessed for countless applications which would otherwise require electricity. Bicimaqui nas are easy and enjoyable to use, free ing the user from rising energy costs, can be used anywhere, are easy to main tain, produce no pollution and provide healthy exercise. Join in and learn more! Donation Q25. Rainbow Caf (tel: 78321919), 7a av. sur #8, La Antigua6 & 20th, Fri., COOKING CLASS: Learn how to cook traditional Gua temalan food. La Pea de Sol Latino (tel: 7882-4468), 5a calle poniente #15-C, La Antigua10 Tues., 5:30pm TALK: Gen erating Economic Opportunity Through Coee presented by Andy Feld man, executive director of As Green As It Gets. Coee is one of the worlds most valuable commodities, and Guatemala produces hundreds of millions of pounds every year. Yet most low acerage coee farmers remain poor and receive very little for the coee they produce. Learn about how this NGO works with farmers and cooperatives to help sell their highquality coee directly to buyers and con sumers, thereby improving the quality of life of their families and communities. As Green As It Gets generates economic opportunity by empowering Guatema lans to build protable, sustainable busi nesses. Donation Q25. Rainbow Caf (tel: 7832-1919), 7a av. sur #8, La Antigua11 Wed., 5pm EVENT: Are you preparing your child for the 21st century? Join in, exploring your role as a parent or and educator in preparing the next generation for success academical ly, intellectually, socially, and emotion ally. Highlighting the skills needed and the challenges faced by children today and how progressive education can help is guest speaker Edna Bonilla, MA (Educa tion), PHD (Psychology). She is the found er of The Earth School, a preschool/el ementary in Kigali, Rwanda with almost 20 years of experience in education, 15 of those in Montessori. Sponsored by and presented at the Oxford Bilingual Montessori School, 1a av. norte, #35-B (tel: 7832-5969), entrance at the Centro Luterano, La Antigua7 Sat., 2pm CULTURAL EVENT: A cel ebration honoring the Virgen de Con cepcin : See Holiday Calendar, page 22.8 Sun. CELEBRATION: Cultural and religious events honoring the Virgen de Concepcin : See Holiday Calendar, page 22.14 Sat., & Sun., 15, 9am-6pm Feria Nacional de Comercio Justo y Solidario organized by Centro de Enlaces del Pequeo Productor and Red Alternativa de Intercambio Solidario. Atrium of the Centro de Formacion y de Cooperacion Espaola, 6a av. norte (be tween 3a & 4a calles poniente), La Anti gua See related article on page 21 12 T hurs. DA DE LA VIRGEN DE GUADALUPE: See Holiday Calen dar, page 22.7 Sat, through Fri., 20 ART: San toral original European engravings. Saln del Coleccionista, El Attico (tel: 2368-0853), 4a av. 15-45, z. 14, Guate mala City4 Wed., 7pm (Spanish) PRESEN TACIN DE LIBRO: La vida y obra de Magda Eunice Snchez. Galera el Tnel, Plaza Obelisco, 16 calle 1-01, z. 10 Local 11, Guatemala City 7 Sat., 6pm QUEMA DEL DIABLO (Burn the Devil): See Holiday Calen dar, page 22. 35 shopping + services GU ATEM A L A CI T Y of the season. Once we embraced these steps the holiday season became special and lled with the joy that is present for those choosing to embrace it. So what are those three magical steps? Let go of all expectation. Simply allow yourself to smile and witness everything that is happening around you without drowning in it. By detaching with a smile you see the bigger pictures and avoid undue pressure. Increase your daily stressreduction activities, such as walking, stretching or meditative time on a park bench. Releasing expectation is an act of trust; everything has a way of working outright? Plan your time vs. letting your time plan you. Recognize your own limitations and set loving boundaries that support your joy and pace. is intentional attitude gives you more available time. Create a schedule for shopping with a few extra gift baskets tucked away in your closet. Planning ahead reduces stress! Take time to appreciate the beauty that is around you. is is easy to do here in Guatemala where decorating for the holidays is an art form unto itself. Detach and delight in the children walking in a procession, the cacophony of twinkle lights and the countless people who oer a brighter than usual hello. Enjoy the smiles of those who are in the spirit of the holiday as gratitude enters your daily routine. What is the greatest gift of all? Realizing these three simple steps are valuable for more than just the holidays. e chaos and beauty of the season is training. If we gift ourselves with the ability to integrate these steps into our year-round life experience then we recognize that peace and goodwill originate in our own hearts. is holiday season we oer our gratitude and stress-free wishes to all who are reading this article and especially to John and Terry for keeping the Revue Magazine such a valuable resource for so many years. 42 Hospital Privado Hermano Pedro Medicine and General Surgery Pediatrics Maternity & Gynecology Traumatology, Orthopedics & Arthroscopy Plastic & Reconstructive Surgery Laparoscopic Videosurgery Otorhinolaryngology Urology Clinic Laboratory Pharmacy Videoendoscopy Videocolonoscopy X-rays Electrocardiogram Ultrasound Electroencephalogram Osseous Densitometry Computerized Axial Tomography Mammography Ambulance Service 24-hour Emergency Service Av. de La Recoleccin #4, La Antigua (in front of the bus station) Tels: 7832-0420, 7832-1197, 7832-1190, Fax: 7832-8752hphpedro@intelnett.com www.hospitalhermanopedro.netWE ACCEPT WORLD WIDE MEDICAL INSURANCE! H EALT H SERV ICE S Clinica Naturista & SPA since 1970 Naciementos by Olga Morales (Mochis)Entry in the Revue Photo Contest, Dec.
52 A NTIGUA shops + services 7830-6669 5408-7057English (European) style riding on t, well-trained horses Oering accompanied scenic rides & PRIVATE equitation lessons from beginner to intermediate level Intensive courses our speciality Taught by English instructress Boots and helmets provided Livery / Boarding facilities available REVUE le ofrece el costo ms bajo por ejemplar para promocionar su negocio. Enjoying your time in Guatemala? Want to give something back?WINGS provides access to reproductive health education and family planning services for low-income, rural and indigenous Guatemalans. Our ve programs Family Planning, Youth WINGS, WINGS for Men, Cervical Cancer Prevention and Treatment, and Advocacyaim to empower Guatemalans to make healthy, informed choices about their reproductive health. Donations can be made online at www.wingsguate.org or in person at our oce in Antigua (9a calle poniente Residenciales El Rosario #3). Email: info@wingsguate.org. WINGS is a U.S. registered 501(c)(3) nonprot organization. Please support our work with a tax-deductible donation: We specialize in: Immigration Services. (Residencies, Work Permits). American and Guatemalan tax strategies and accounting. Franchise development and business acquisitions. Corporate and Real Estate Law. Trademarks. : PBX. (502) 7937-0284 l (502) 2383-6000 La Mandarina Business Center, 2a calle poniente #2, Corner of 4a Av. www.diazduranantigua.com l info@diazduranantigua.com31 de dic 2012 by Joseph ParsonsEntry in the Revue Photo Contest, Dec.
77 lodging ANTIGUA dition of mentorship, working with young artists exploring styles and mediums. What excites Maxon beyond his own creative process is the communication and connection fostered with his audience. For me, its fun to do pieces that allow people to be pulled in, because someone is actually participating in the viewing. e artist does the work, but they still need the viewer to communicate. When the viewer gets that kind of connection to the work, that is the place where the artist can feel theyve been successful. He is excited at the possibilities to foster new connections with this show. Natalie Rose is a freelance writer based in La Antigua, Guatemala and New York City. When in town, she resides on a volcano. (ankfully, its dormant.) e show, Vistas de Guatemala, will open at the Galera Panza Verde Jan. 8 and will be on display until March 10. (See DateBook for details).